Having the December Dinner on a Saturday night worked well. The food was great and was well received. The committee has received good feedback from people who attended. $65.00 seems to an acceptable price point for dinner pricing. We could go back in the future or try a similar venue, and let us not reject the idea of Saturday dinners if there are future opportunities. Not much to be said except to say it was another fine day and everyone seemed to enjoy the occasion. Not sure if the attendance was 42 or 44. Depends on who counted and at what time during proceedings. This continues to be a great venue for a gathering of this nature, the food was excellent, the wine very nice and the company superb. As always we give special thanks to Derek Thompson for making his excellent facilities available. It’s the start of another year with much to look forward to. Now it may seem like a strange thing to say if you glance ahead to the coming events section, but things are quite well advanced with planning for the year. Just a small issue with the March tasting which might affect April. Don’t worry, as they say, it will all be right on the night. Some interest has been expressed about recipes for the food matches which we occasionally prepare (or provide) for tastings. For those interested, the recipes for the matches we did back in November for the Portuguese tasting are available on the website. Also, Wayne is collating the 2017 Spanish recipes for inclusion on the website. We will look to include future recipes as tastings progress. There were a few dishes etc left at Derek’s after the BBQ and I think these have been returned to their owners. If you have an item that you might have left there, let me know and we can pursue through Derek. Another successful Cellar Club year started with a BBQ, several tastings, the AGM, another tasting, then mid-year dinner, followed by several more tastings, then finally a very successful end-of-year dinner. 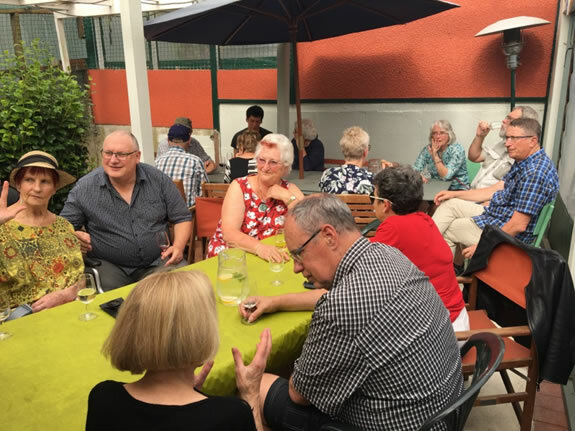 In upholding tradition, and as a way of celebrating the committees’ work throughout the year, the club’s President hosts an end of year celebration for committee, partners and guests. Each year we celebrate by sampling each other’s favourite wines along with a grand selection of food. This year we were fortunate to sample many labels who have presented to the club and some who have not. 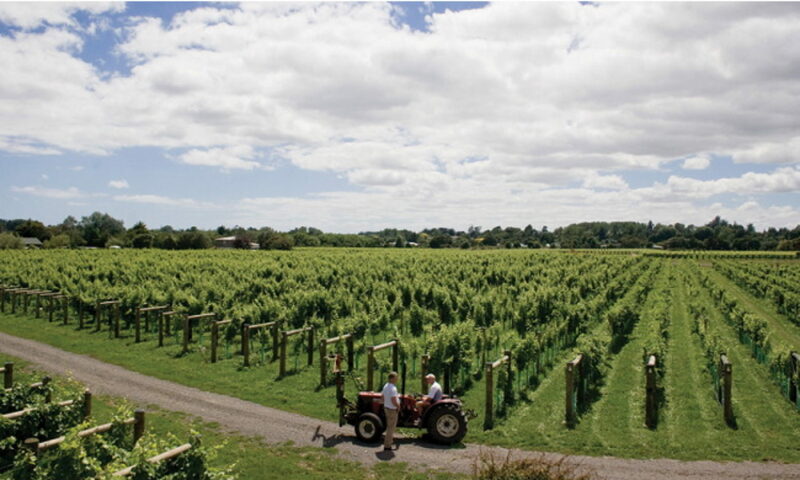 The wines came from the labels La Cilla, Hunters, Clearview, Ruby Bay, Alpha Domus, Awatere River, Rapaura Springs, Lindauer, Okahu Estate, Tyrells, Old Coach Road, Olssens, Ransom, Dry River, Rod MacDonald, Rockburn, and Ash Ridge. A large and diverse range that could have gone down well at any tasting. Thanks to our gracious hosts, club President Murray and Dina, who organised (with the gods) great weather for the event, along with the committee, wishes members and guests a joyous and safe Christmas. We look forward to seeing you all during 2019 starting with the BBQ in January. Details to come. As ever we start our year with the BBQ at Derek’s Place on 27 January. We’ll send more information to members in mid-January. As always we give special thanks to Derek Thompson for making his excellent facilities available. Those of you who know me will know that my preference clearly lies with red wines, however, even I have to admit that the weather has been rather too hot for the heavier reds. It has been suggested that we should cool our reds a little and not refrigerate the living daylight out of our whites. I’m straight into experimentation with the concept. 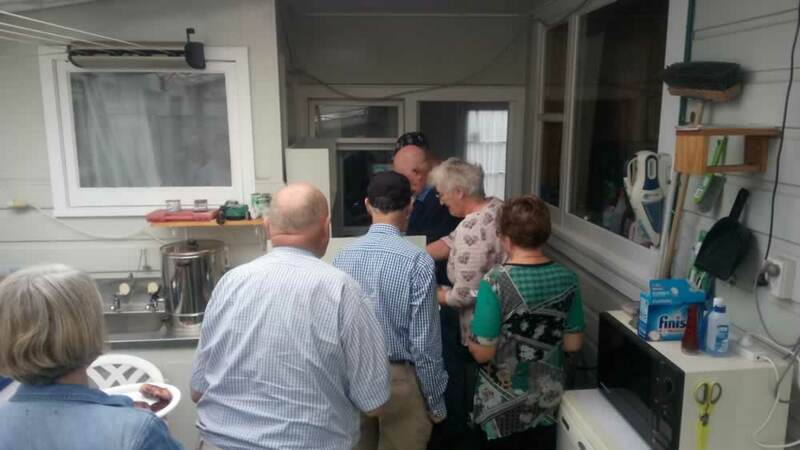 The programme for the year is now taking shape with some good tastings in prospect. 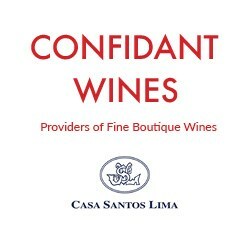 We will keep you updated as we go and we hope we can have a year of exceptional tastings. 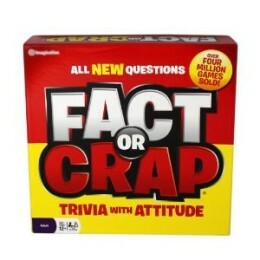 Invariably someone leaves something at Derek’s place after the January BBQ. This time he has found a squarish white plastic bowl that does not belong to him. Let us know if this is your bowl and we will work out a way to return it. 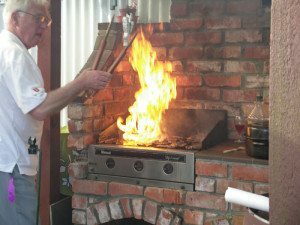 As ever we start our year with the BBQ, Johnsonville, on 28 January. I will send more information to members in mid-January. As always we give special thanks to Derek Thompson for making his excellent facilities available. It is usual at this time to review our year. As ever we began with our summer BBQ at the end of January. The usual excellent occasion and thanks to Derek for making his premises available. It is an excellent facility. Our first tasting was the Rosė tasting presented by Will Brunel-Morven from Maison Vauron. 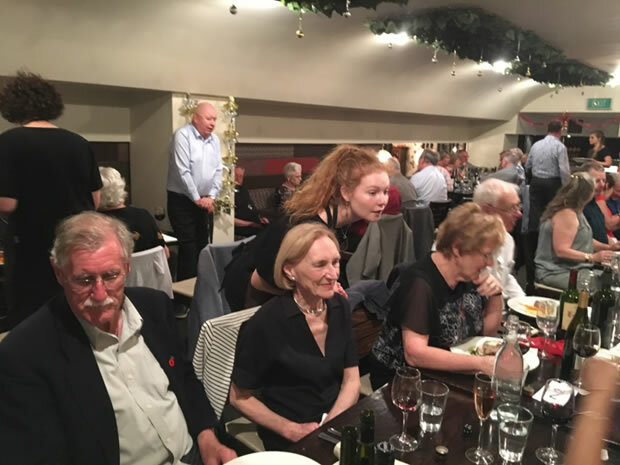 Rosės are becoming increasingly popular, particularly as a summer wine.March was the time for Ata Rangi and was followed in April by our Quiz Night. An enjoyable and fun occasion. 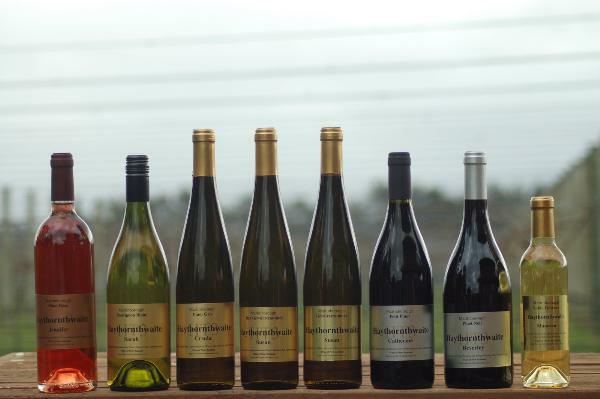 As usual, May was AGM time, June highlighted Giesen’s Wines and July was dinner at Bistro 52. 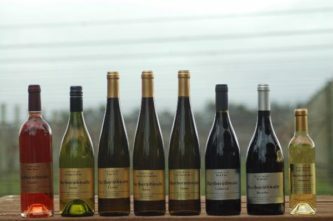 August had us enjoying Seifried’s offerings and then in September the interesting and unique Aged Wines tasting. 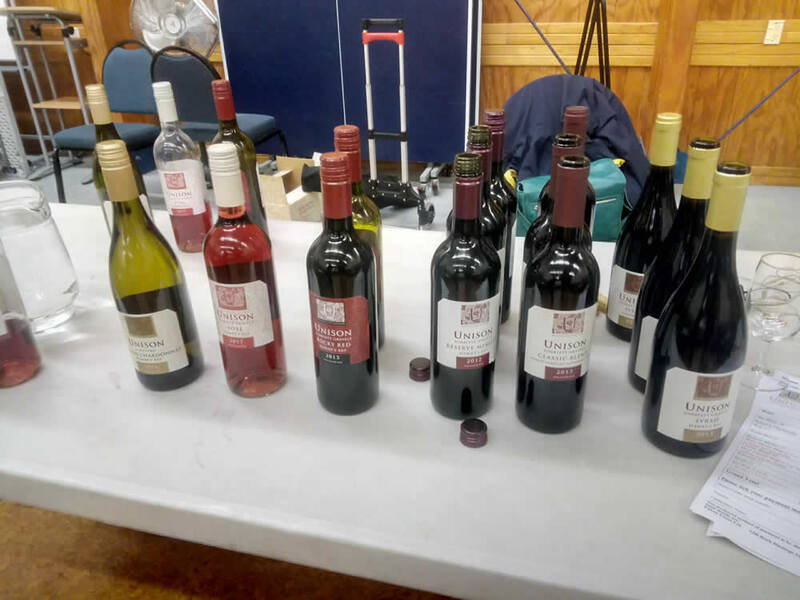 October was Stonecroft and last month was the festive tasting of Spanish wines. A great programme which will be nicely rounded off by our December Dinner. It is interesting to note that EuroVintage had great orders from the Spanish tasting, and were blown away by the response. Well done everyone. We have had some excellent feedback from members about this venue and the quality of the food. However, while good, there were a few issues with one of the larger tables of 13 with not enough food and how the meat was distributed. It appears that the plating re the number of people per table was an issue for some tables. This concept was a new dining concept for the club, and perhaps next time we need to explain in the lead-up newsletter how the meal will be served and how the dinner will work. There are always things to learn. The Club BBQ was another good day with close to 40 members and friends attending. The weather was OK but with a coolish breeze (Pat says I use the word breeze far too frequently when describing the Wellington climate). 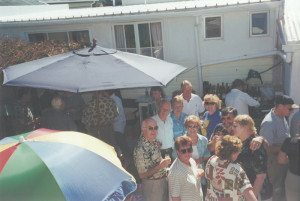 As ever there was plenty of covered space at Derek’s and weather conditions seldom detract from the enjoyment of the event. The food was up to the normal high standard and particularly pleasing was the quality and variety of desserts provided. A great turn out. As always we commenced our festivities for this new year with the BBQ at Derek Thompson’s house. On the agenda for the year we have Ata Rangi, and after the success of the last quiz evening, we have decided to try it again. Your committee is working on options for the latter part of the year, but these will include the AGM in May, the mid-year dinner in July and the second dinner in December. As a definite, we have Seifried’s from Nelson booked in for August and other projects. We have found that a downside of arranging tastings too far in advance is that situations can change. These have resulted in late withdrawals necessitating urgent substitutes. We are trying not to work too far in advance. As always, we are happy for input from members on future events and tastings. As ever, I find this a time to reflect on what the year has offered. We had a great day for the BBQ in January. Always a pleasant afternoon for those attending. 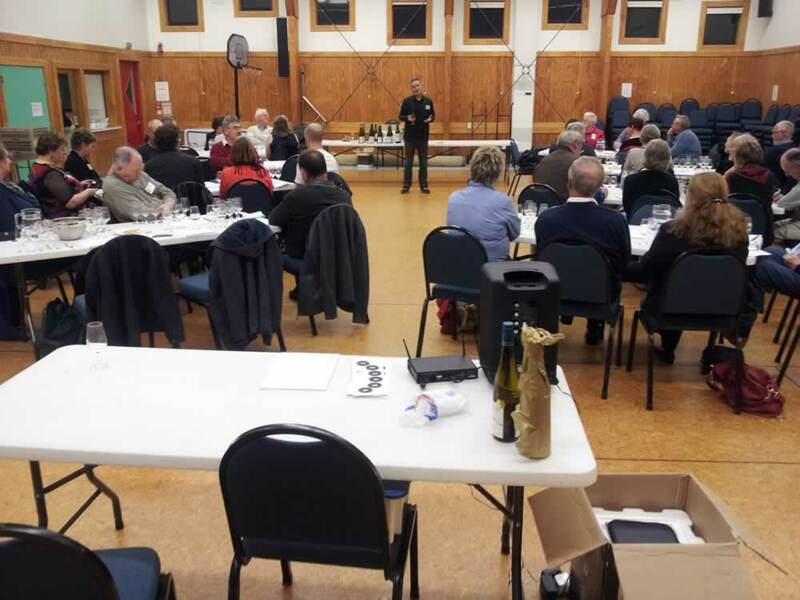 February saw a tasting with Roberta Montero presenting for the Artisan Winegrowers of Central Otago. An interesting and somewhat different approach to winemaking from this group. March was a very successful tasting of Argentinian wines presented by Josefina Telleria from South2South. In April we had Edward Donaldson presenting for Pegasus Bay. The AGM in May passed quickly and members enjoyed some wines from the Club’s cellar before we moved on to June where Foxes Island and held centre stage. This was a very professional presentation. Things really got rolling in July with the mid-year dinner at Logan Brown. Some issues around service but otherwise an excellent evening. August was time for Keith Tibble to present an Australian evening, mainly Elderton from the Barossa Valley but included offerings from McLaren Vale and Clare Valley. September was with Gavin Yortt and Squawking Magpie from Hawkes Bay. October was a highlight with Jane Hunter presenting from Marlborough. It was great to get an icon of the NZ wine industry for this event. November completed a somewhat international year with Cangrande doing Italian wines for our festive tasting. 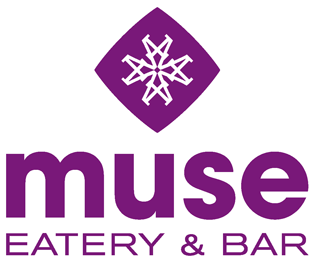 Dinner at Muse this month completes our year. Your committee have been very pleased with the programme and hope everyone found something to enjoy. Have a great Christmas and then we will look to developing 2017 events to match those of the past year. The usual start to our year with the BBQ at Derek Thompson’s. A beautiful day and a good turn-out of members plus a few visitors. As ever we must thank Derek for his hospitality and generosity. This is a great place to have a BBQ and we are very fortunate that Derek makes it available. He even opened his magnum of Gladstone Pinot Noir (won during the Gladstone tasting). A lovely drink for a sunny afternoon.